Operations at the Indira Gandhi International Airport (IGI) continue to be affected, owing to the grim weather. 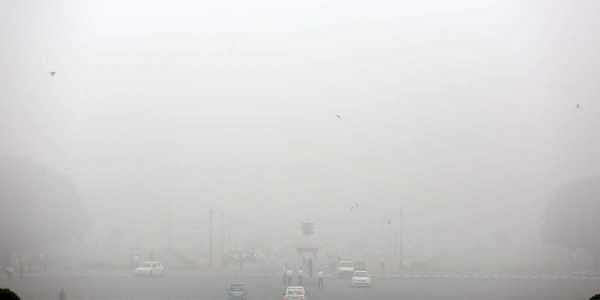 NEW DELHI: Delhi has been witnessing chilly winter mornings and nights for the last couple of days, and according to the India Meteorological Department (IMD), the cold wave will continue to prevail in the national capital region. Hundreds of passengers at several railway stations in Delhi have also been left stranded after multiple trains have been cancelled, rescheduled, and delayed due to low visibility. Even today, 49 trains are arriving late, and 13 have been rescheduled due to the dense fog. Moreover, 18 trains have been cancelled. The minimum temperature recorded is six degrees Celsius, while the maximum is 21 degrees Celsius. The air quality in the national capital has also been keeping under 'very poor' category as the fog has not been allowing the particulate matter to disperse.